We’ve just arrived in Barkley Sound for a Christmas tour, so we’ll be updating the live travel map to show the current trip. Our fall travel log is below, or you can display it on a map view. It’s 32F and frosty this morning, with sea smoke drifting across the water. This is the view directly behind us just past sunrise. 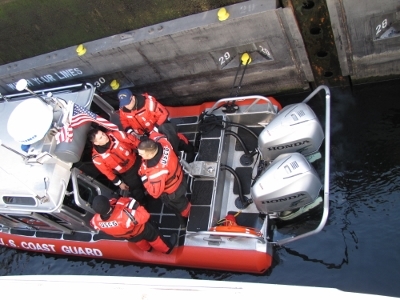 We went through the locks with the Coast Guard. 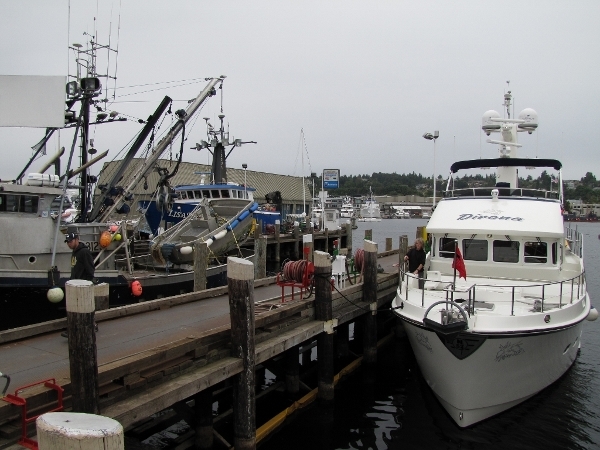 Bell Harbor was nearly full when we left, but we were the only boat at anchor in Blakely Harbor. The Ruston Point development floating sales office moored off Ruston. 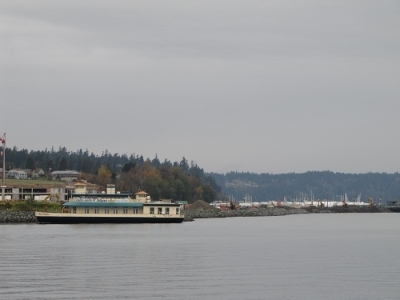 Beyond are the Breakwater Marina and the Tacoma Yacht club. 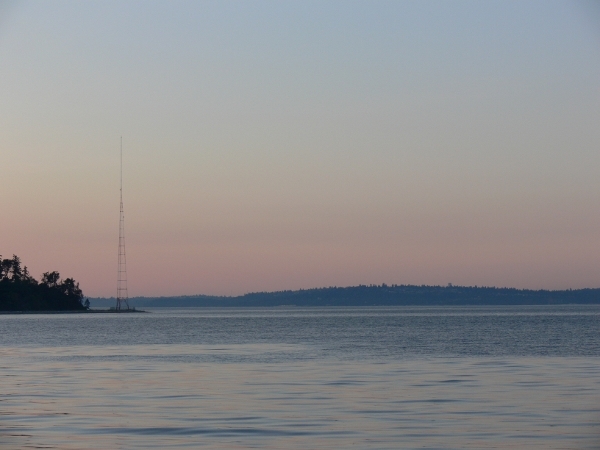 With a small craft warning in effect, Seattle traffic requires all anchored ships to radio in every 2 hours with wind speed, direction, and how their anchor is holding. The bulker Ribbon, anchored just under a mile away, was one of several ships in the area that have been asked to radio in. We’re tucked against the cliffs with good wind protection. 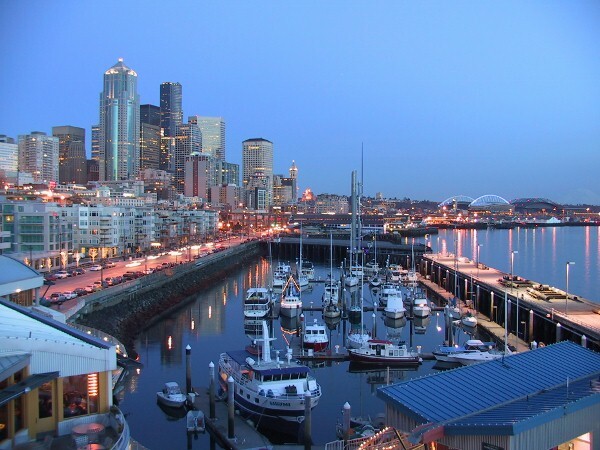 The view is wonderful in the evening, with lights from the port and city of Tacoma and the surrounding hills reflected in the still waters. The Olympics are out in force today with a fresh layer of snow from the past few days’ storm. 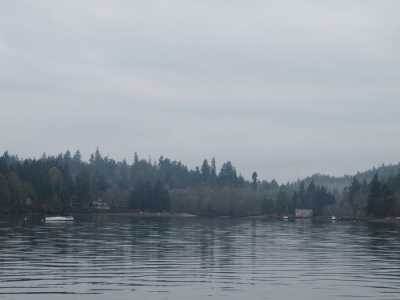 This picture was taken as we left Vaughn Bay, but we have a similar view from our anchorage. 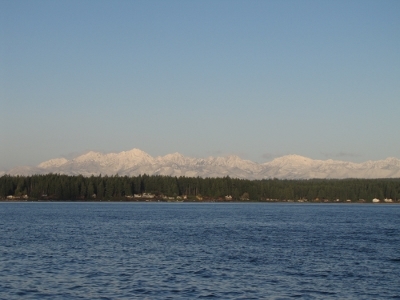 Later that evening, the current surged between Hope and Squaxin Islands. We turned on the underwater lights and watched jellyfish roll end over end as they swept past. 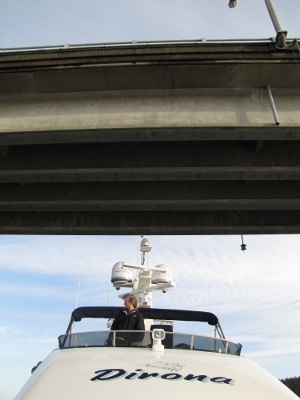 We passed under the Pickering Passage Bridge on an 11′ tide. 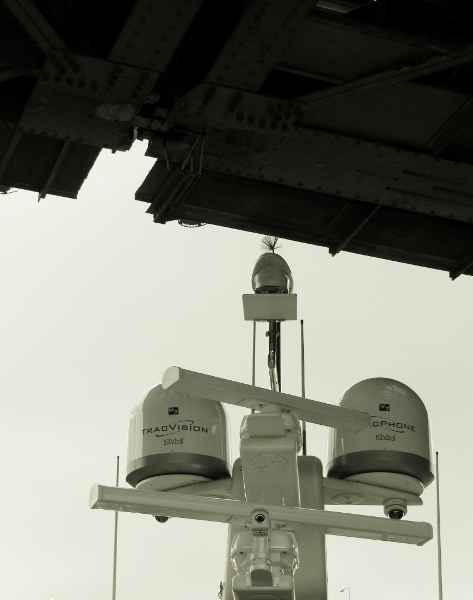 The vertical clearance there is 31′ at MHW. It looks tight, but we had about 5-8′ to spare. 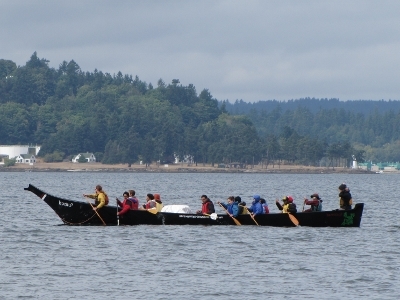 Navigating the narrow entrance to Vaughn Bay. The channel is shallow too–only 1′ at MLLW. We entered without problem on an 8.5′ tide, but we won’t be leaving this evening–the tide will be -3.17 near midnight. NOAA is predicting southerly gale force winds today–the waves already were piling up a bit as we approached the bay, and rocked the boat as we turned beam-to to enter. 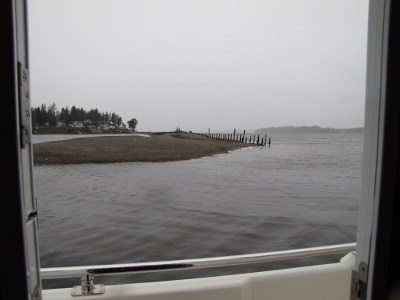 We anchored near the head–snug and secure with a heavy rain falling and gusty winds. Besides a couple of unattended boats anchored inside, scores of seabirds are the bay’s only other occupants. 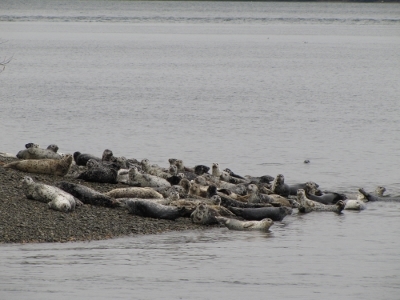 Seals packed onto the northern tip of Eagle Island. We’re anchored a few hundred feet away–the current here is wicked strong. We’re on our first night of a Thanksgiving trip to the South Sound. The sky is overcast from the storm we’ve had the past few days, and the night is dark. As we passed Blake Island, a strobe light in the distance turned out to be one end of a gillnet stretched out towards the island. The nets are difficult to see until very close in the daylight, but much harder to pick out at night. Normally a boat guards the net, but this net’s tender appeared to be “offwatch” in the distance. Heading to Pacific Marine Expo. 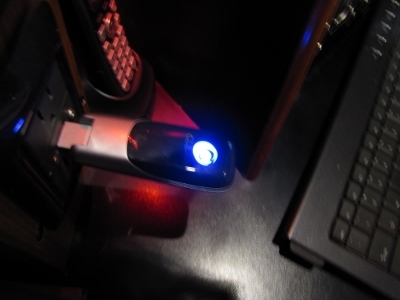 We just switched to ClearWire 4G after Sprint dropped unlimited 4G. The particular spot we were anchored last night in Yukon Harbor had no connectivity, but reception was excellent a few hundred yards east, and at our current anchorage. 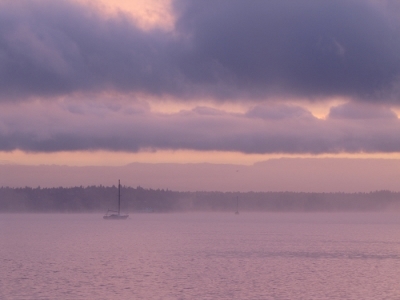 A temperature in the mid-30s brings sea smoke at dawn. The weather is so nice, and we’ve not been out for a couple of weeks, so we decided to stay out an extra night. If we get up at our normal time of 4:45 and shower underway, I can still make my 6:45 bus to work. 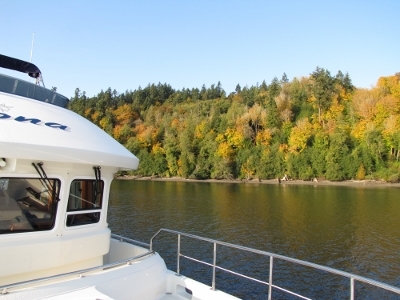 We’re anchored in Port Orchard opposite Rich Passage, with rich fall colors to the west and ferries passing to the east. Don Kohlmann dropped off a couple of fresh-off-the-press copies of the 2012 Nordhavn calender this afternoon. Not only did Dirona make the cut, but it’s on the cover. 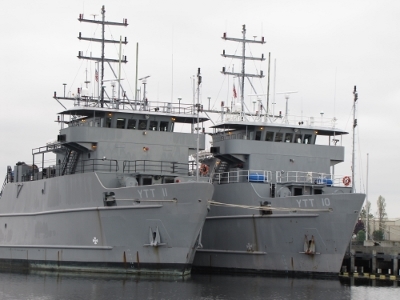 Navy ships at Keyport, outside the entrance to Liberty Bay. One of our unusual anchorages. The temperature is 77, the sun is shining, and the water is calm. 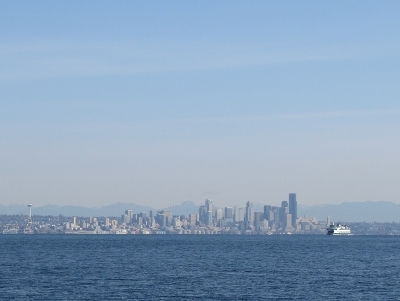 Those are great conditions for any anchorage, but particularly here with the awesome Seattle view. Our first Puget Sound anchorage since late July. While we did take a boat trip last weekend, it wasn’t on Dirona. We took the Clipper to visit family in Victoria. This BackOfBeyond tour was one of many groups out enjoying the last of the summer weather. 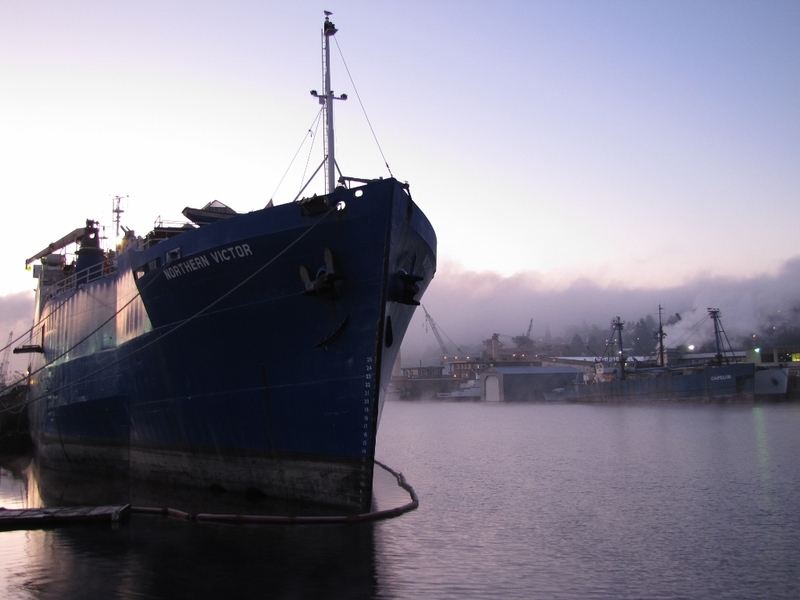 Before returning back to saltwater, we picked up 1,443 gallons of diesel at Covich-Willams. 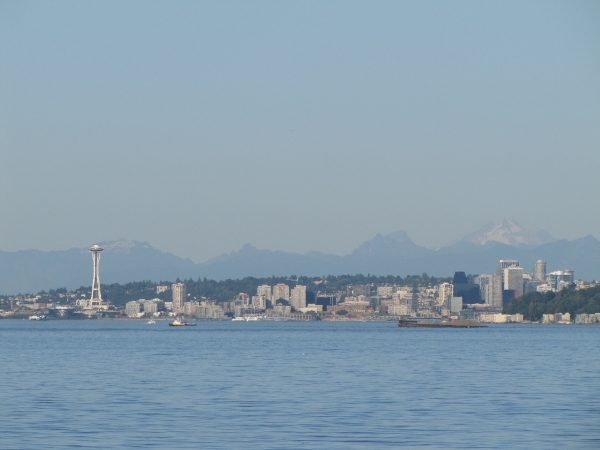 We went throught the locks this morning to participate in the Seattle Yacht Club’s powerboat dinner tonight. At 6:45 this morning, in front of the Fremont Bridge, we learned that the bridges required an advance appointment for openings between 11pm and 7am, and are closed from 7am to 9am. The bridge clearance is listed at 30′ and our air draft is 30.5′, but we decided to see if we could get through rather than wait for 2 hours. We creeped under with about 1.5′ to spare.